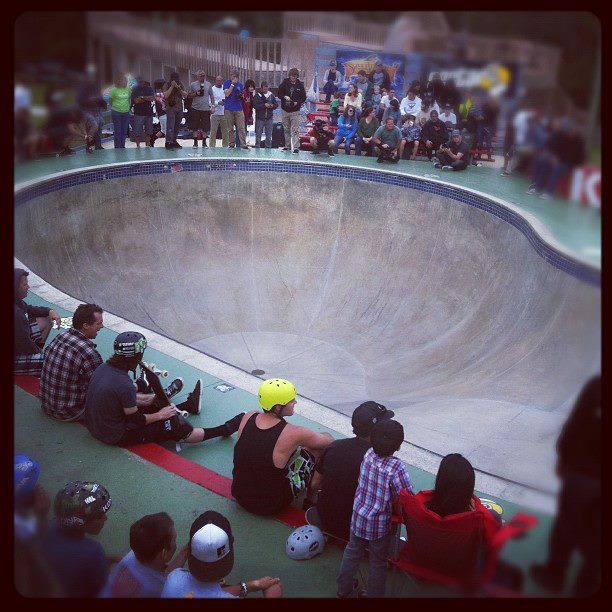 2012 Florida Bowlriders Cup Kona event finals just finished at New Smyrna Beach and Kona skatepark. More tha seventy-five of the best skaters were competing for the 2012 Florida Bowl Riders Cup in five divisions: boys, women, masters, pro and open amateur. Unfortunately, looks like the weather predictions were unpredictable in the last contests. Last week, the Oi Skate Jam had to be cancelled at Rio de Janeiro and this week-end, the rain again perturbed the contest at New Smyrna Beach for the Florida Bowlrider Cup 2012. 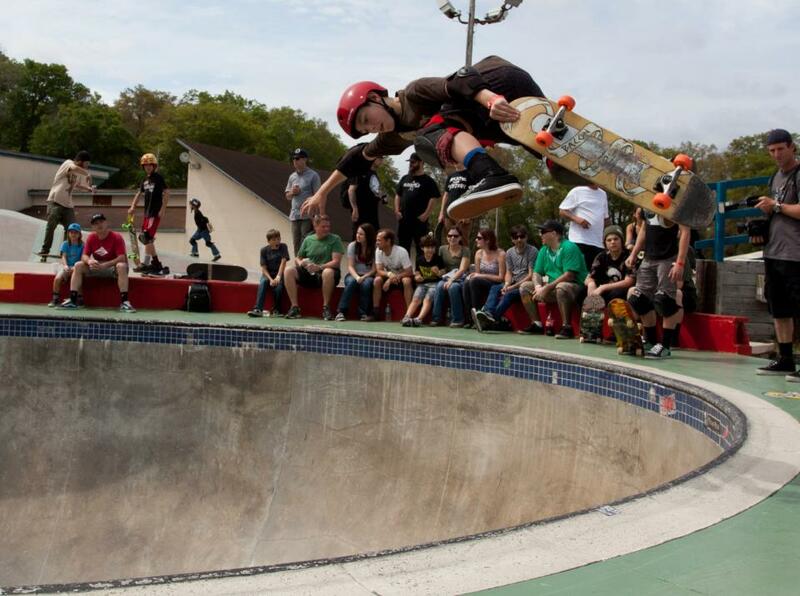 Established in 1977, the Florida Bowlriders Cup is self proclaimed "North Americas premier skatepark series. "Actually, it is networthy to say that Kona is the longest surviving private skatepark in the world and has been organizing that contest for years with the help of the World Cup Skateboarding (WCS), although the WCS did not sponsor the event this year. The Florida Bowlriders’ organization took a lot of heat during this week-end on their Facebook page as no information was posted for three days and people looking for the results started to be infuriated because of the blackout. At 11:50pm on Sunday Night, there was no official results posted and we had to look for friends, phone calls and info recoup everywhere to get an idea of the results. . isTia.Tv contacted by phone and email several people present at Kona this week-end and no one was able to give us the full results so far. According to a post by Shart Panda on Facebook the Florida Bowlrider announcer at Kona was apparently mentioning on Sunday the commotion on the facebook page and said "if you want to know so badly, you should have been here!" Sic! But eventually, the full results were posted on Monday morning, no pain no gain, huh?. 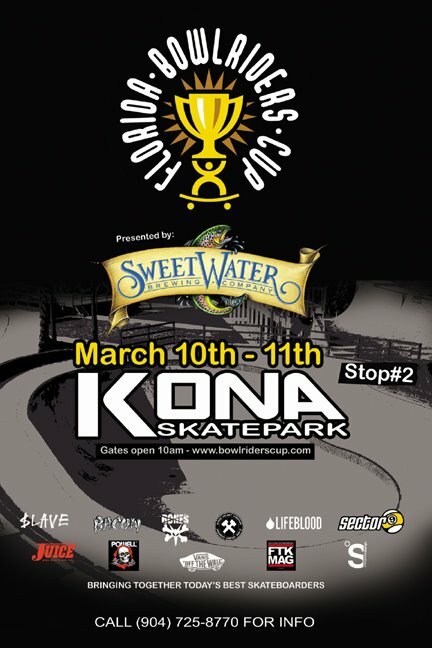 Eventually, after two back-to-back days of high mystery events at New Smyrna Beach Skatepark (NSB) and Kona Skatepark, this weekend’s Florida Bowlriders Cup is finally over. 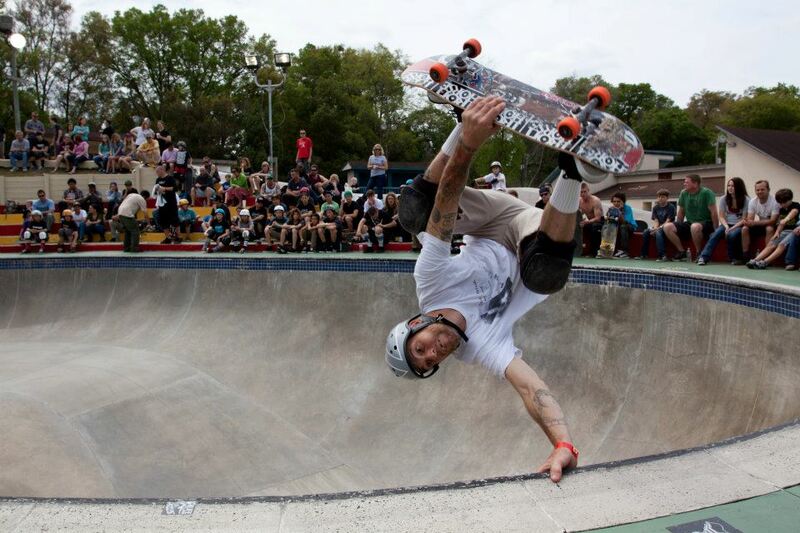 Pedro Barros seems unbeatable now after winning his 4th contest in a row at NSB. People noticed that he did not even show up at Kona for the Saturday and Sunday event. 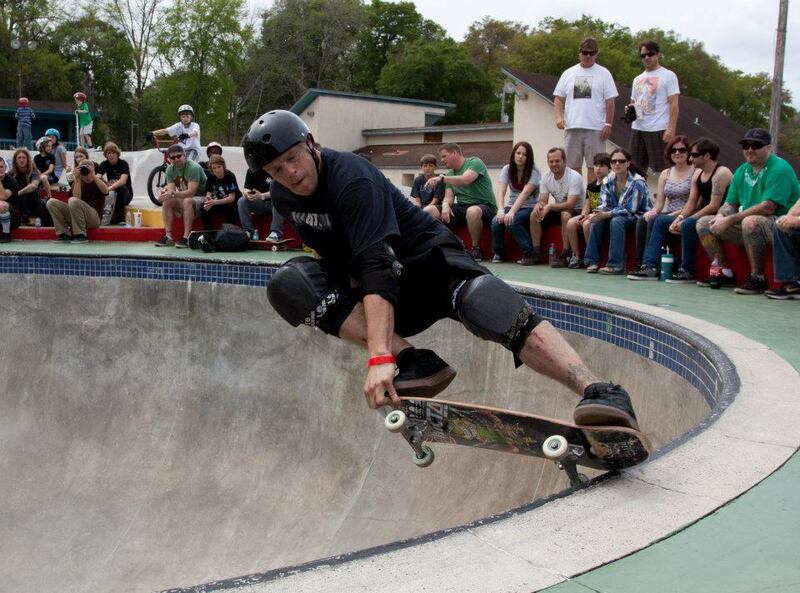 He might not need it actually… Kurt Baker, and Lizzie Armanto took home top honors in the Pros, and Girls divisions respectively at New Smyrna Beach. 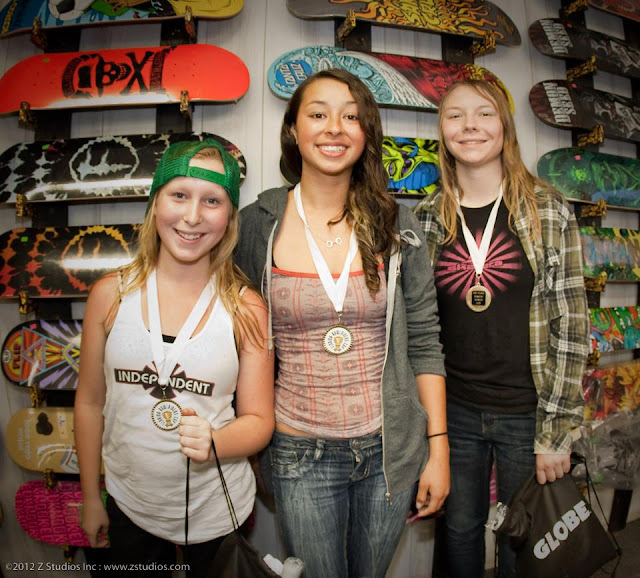 Lizzie Armanto was declared overall female winner of the contest. Pictures by Jeff Hoot, NSB, Aidan Dansey and Christopher Zsarnay. Used by permission. Thanks Jeff, Chris and Aidan! It says that Pedro Barros is unbeatable but wasn't there on Saturday, then you show him in the results as coming 6th. So, is he beatable? 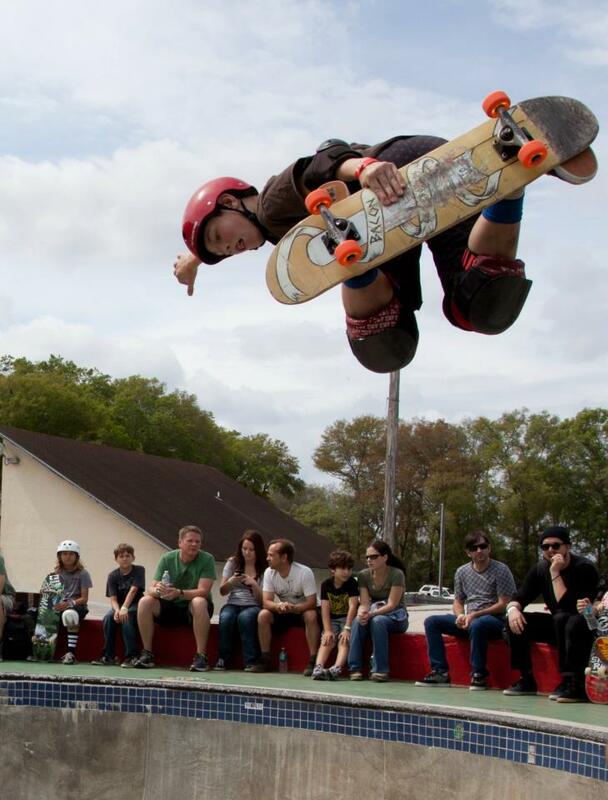 It is cool to see Benji skating again and winning. Pedro won on Saturday, but gave up his spot because he needed to go back to Brazil in the morning.